1. How can your prices beat everyone else? Even Lowe's and Home Depot? That's a great question! Due to the sheer amount of orders we fulfill and our close knit relationship with our manufacturers, we can afford to pass on our savings directly to you the customer! 2. What is the difference between the aluminum panels and the galvanized panels? Both products offer the same protection, however, aluminum panels are much lighter than galvanized panels. Additionally, our aluminum panels will not rust. Our .050 aluminum panels weigh approximately 1-1.50 pounds per foot as compared to 2.50 to 3.0 pounds per foot for the galvanized panels. The galvanized panels have very sharp edges and are harder to handle. 3. Do I have to use a headers and/or studded angle with the shutters? No. Hurricane panels can be installed in a "direct mount" fashion with machine screw anchors and a stainless steel combo/truss head screw. Some customers do not like the look of the headers/tracks on their house so they directly mount the shutters. Putting up shutters that are mounted directly to the house, however, takes more time to put up than shutters installed with tracks. 4. Where are you located? Can I come to your warehouse to pick up my shutters? Yes, you can definitely meet us to pick up your shutters and save the delivery fee! Please keep in mind we are on the road a lot with deliveries so an appointment is needed. 5. Do you have everything in stock sitting in your warehouse? No, there is no way we could keep everything we sell sitting in our warehouse. Our warehouse would have to be huge! 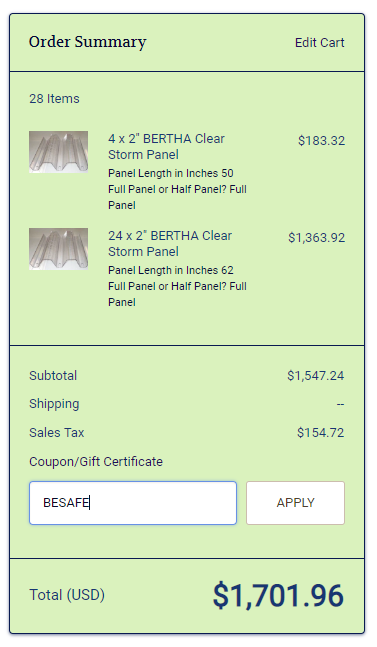 Every shutter panel or header you order is made specifically for you. It is possible we have the hurricane hardware in stock but it is always best to call first if you need something that day. 6. How far are the holes in the shutter from the edge of the shutter? 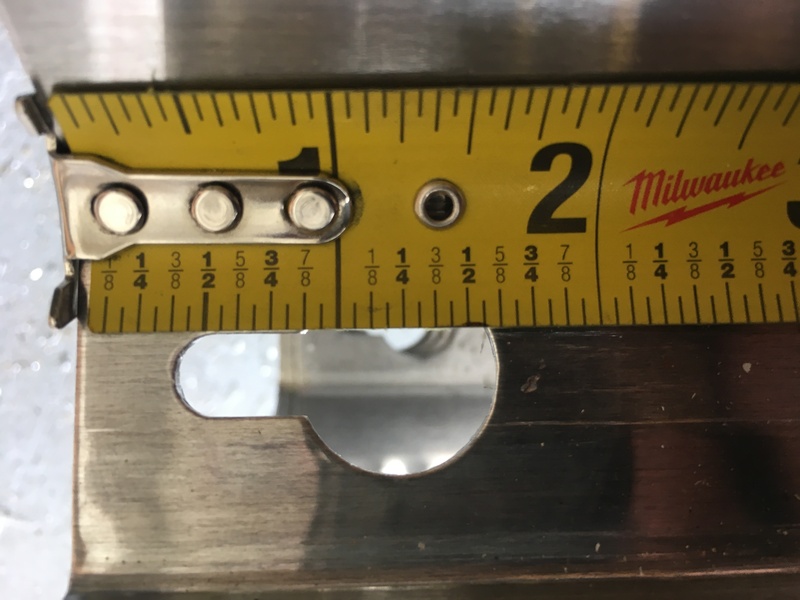 The holes in the shutter are keyhole shaped and start from about 3/8" from the edge of the shutter and extend to approximately 1-5/8" from the edge. See photo below. 6. Where do I put the Coupon Code? The coupon code can be input on the Checkout Page. See Image Below. Hmm .... I still have a question that's not being answered. What can I do? No worries.. – contact us here!.